Decoding Dyslexia CA understands there is a great deal of information available regarding dyslexia. Some of the information is founded on sound research-based practices and some is not. That is why we are creating a curated, consolidated library of reliable resources just for educators. In creating this library, DDCA has reviewed content produced by internationally recognized dyslexia experts and organizations, peer-reviewed research studies, and we have reviewed dyslexia guidelines from California Department of Education and other State Departments of Education in order to provide educators with best practices. The additional modules listed below will be added over the next several months. Please sign up for the DDCA email list if you would like to be notified as each module is made available. Click to Launch the Module. *If you are viewing from a phone or tablet swipe left or right over the image above to see the various modules. The International Dyslexia Association’s “Knowledge and Practice Standards for Teachers of Reading” define what all teachers of reading need to know and be able to do to teach all students to read proficiently. The IDA Standards were written for two main audiences: classroom educators and dyslexia specialists. IDA has written separate narratives for each audience. 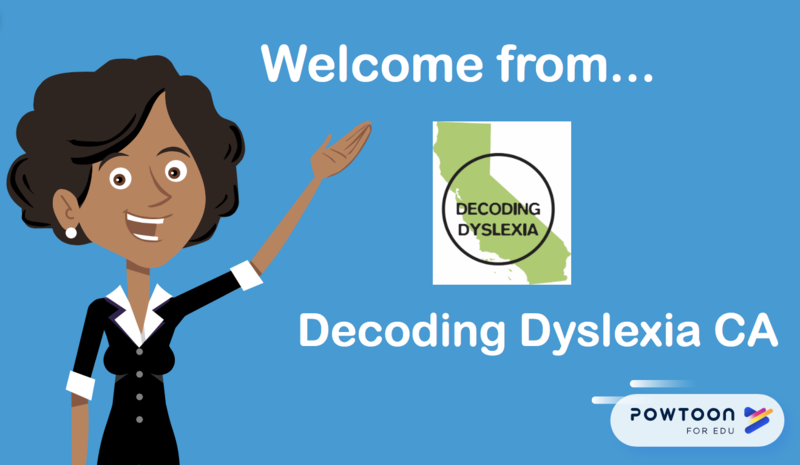 California Department of Education’s “California Dyslexia Guidelines” were written in response to the passage of Assembly Bill 1369, Chapter 647, Statutes of 2015 (a bill sponsored by Decoding Dyslexia CA) and which added sections 56334 and 56335 to California’s Education Code. The purpose of these guidelines is to assist regular education teachers, special education teachers, and parents in identifying, assessing, and supporting students with dyslexia. “Dyslexia in the Classroom: What Every Teacher Should Know” is a toolkit by the International Dyslexia Association and can be used to provide classroom teachers with basic information about dyslexia, dispel some of the myths and misconceptions surrounding it and be a resource that will increase their capacity to ensure the success of the diverse group of learners in their classrooms.